Keep little hands busy with this simple gingerbread man preschool cutting practice activity that encourages fine motor skills development. 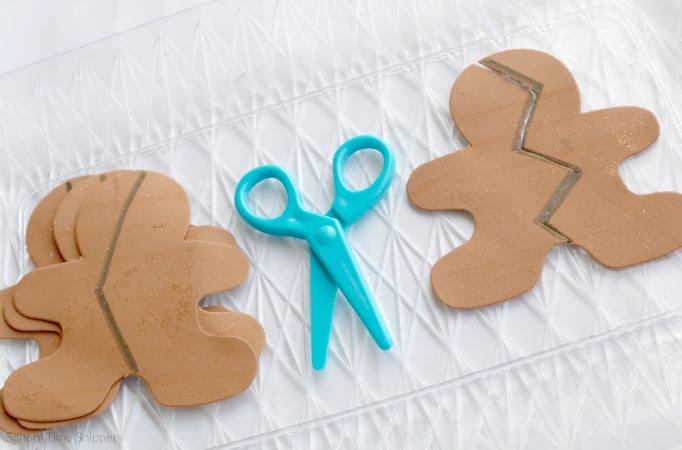 Bring out the gingerbread men and work on improving scissor skills! 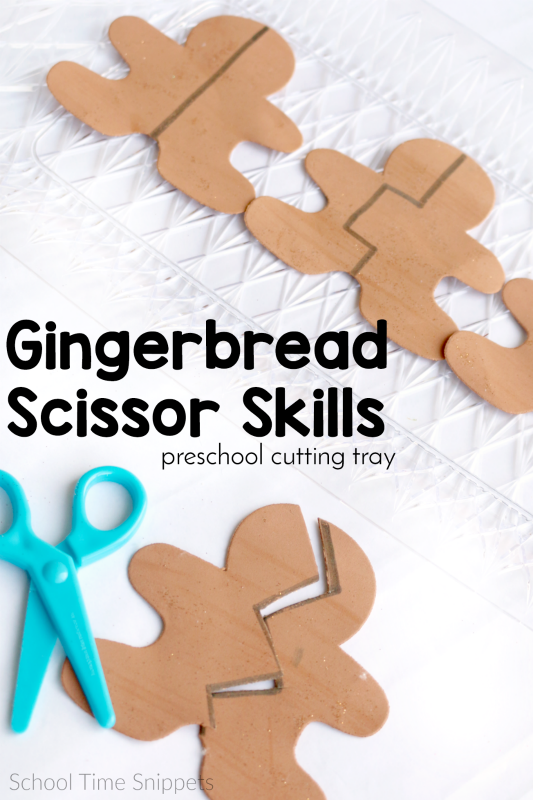 Add some kid-safe scissors, and you've set up a cutting tray that is perfect for preschoolers! Right around 2 to 3 years old, each of my kiddos became very interested in using scissors. And thankfully, more often than not, they practiced this new skill with paper. Phew! With the Christmas season upon us, I've joined the Virtual Book Club this week in creating an cutting practice activity to go along with the book, Gingerbread Baby . It's simple to put together! It's a festive way to work on scissor skills! 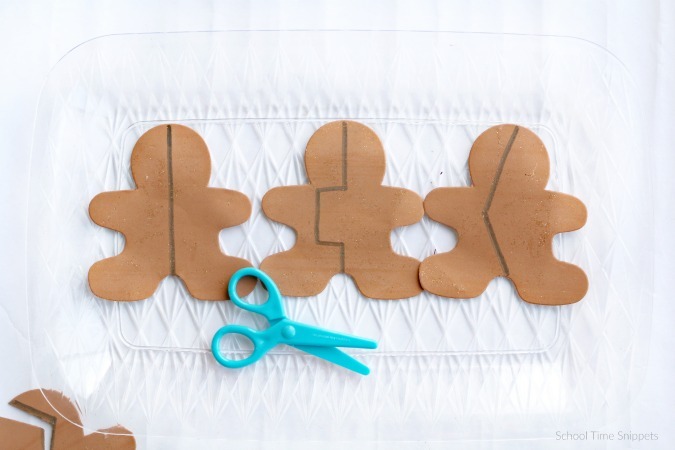 I picked up a couple packages of foam gingerbread men last year, but you can also re-create this activity by cutting out your own gingerbread men with brown construction paper . With a black marker, draw a various types of lines down each gingerbread man. Draw various types of lines- straight, wavy, zig-zag, etc. If your child needs help, model for him/her how to properly hold scissors. I LOVE this tip from Sight and Sound Reading on how to hold scissors! This is a fun, festive way to work on preschool cutting practice! You can re-use this activity another day as a matching game, too!